Welcome to Diamond Lake Dental. When you’re here, your comfort is our top priority. That’s why we offer expert care with a side of friendly conversation. We listen to your goals and empathize with your concerns. And getting to know you is just as important as getting your smile cared for. So relax, kick your feet up and we’ll take care of all your dental needs from here. Hey there, Dr. Baker here. I’ve been a Twin Cities dentist for 30 years, but it was always my dream to practice in the neighborhood where I grew up and still live. Well that dream has finally come true. We may have a new name and location, but we show the same care and compassion we’ve had all along. All your dental needs under one roof. 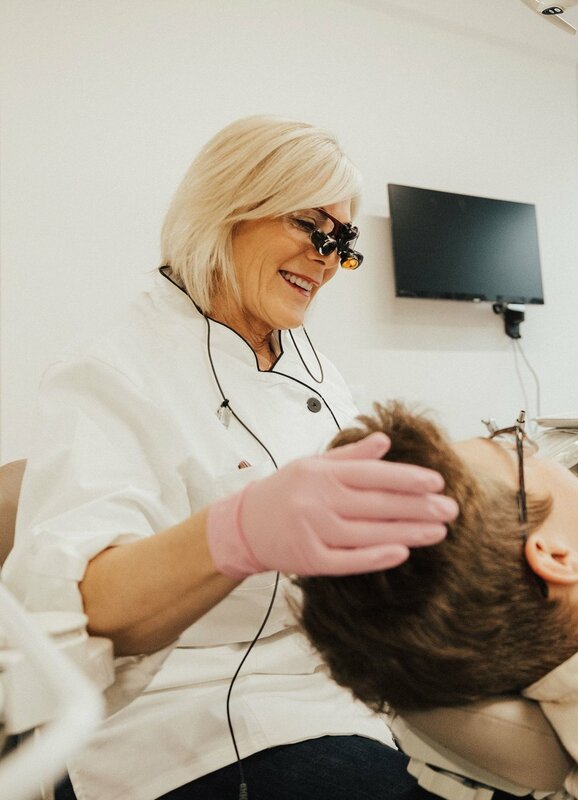 Whether you need a full-mouth restoration, want a little cosmetic work done, or just looking for a good old-fashioned teeth cleaning, we’re experts in all facets of dentistry. and offers flexible plans for those without insurance. What they’re saying about us around town. Located on the corner of Lyndale Ave and West 54th Street.